The North Atlantic Treaty Organisation’s (NATO) events can seem a touch religious. One congregates to profess one’s belief in the Holy Alliance. And because it is holy, there is little tolerance for heretics. Making my way to the Transformation Seminar 2014, organised in Paris by Allied Command Transformation (ACT) on 7th-9th April, I had reason to look over my shoulder for religious zealots. For I had just published a policy brief about NATO’s upcoming Wales Summit, in which almost as an aside I had actually questioned the continued relevance of ACT. I need not have feared, however. The crisis in Ukraine naturally dominated the conversation at the seminar. Because of the crisis, of its three core tasks of collective defence, expeditionary crisis management, and cooperative security and partnerships, NATO will again put more emphasis on the first. Defence of the alliance’s territory and the security guarantee offered by Article 5 will be the main focus of the NATO apparatus for some time to come. That does not mean that NATO will no longer do crisis management, but as a consequence in many future non-Article 5 contingencies the European Union (EU) may be the institution that will be called upon to take the lead, as it is doing already in its broader southern neighbourhood. 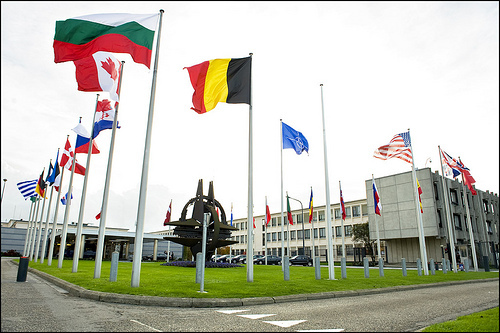 Therefore NATO must be able to offer the EU reliable support in terms of command and control. In other words, the Berlin Plus Agreement, which ought to give the EU (or de facto even an ad hoc coalition led by European states, as in Libya) guaranteed access to NATO headquarters, must be revived. When it comes to the capabilities which European interventions require, the current crisis will hopefully create a sense of urgency in the implementation of the European Council conclusions on defence of December 2013. Given the meagre results of NATO’s Smart Defence initiative (if one discounts projects that were retroactively stamped with the Smart Defence label), the EU does indeed seem the more promising avenue for multinational programmes to address European capability shortfalls. The NATO Defence Planning Process (NDPP) could incorporate these collective European initiatives, including the contributions from non-NATO EU Member States. Finally, a lot more political consultation between the EU and NATO is necessary, in the first place about our strategy for our eastern neighbourhood. I thought this was just my heretical thinking, but all of the above was put forward by senior American voices. Suddenly my heresy has been adopted by the largest diocese in the church (which has undoubtedly found the light of its own accord – I dare not attribute its conversion to my scriptures). This conversion is perfectly rational. Russia remains far too weak to be a strategic competitor of the United States (US). It can only be a spoiler that distracts US attention from what it perceives as the real strategic competitor: China. However, the US can only focus on China and Asia to the extent that the European continent is secure – that is a vital American interest. Therefore the US has to engage with the crisis in Ukraine, making it clear that Article 5 offers as strong a guarantee as ever, to give its European allies and partners the self-confidence for resolute diplomacy. But the US’ undivided attention we will never again have. The focus on Asia has just been reaffirmed in the latest Quadrennial Defence Review. And thus the US still expects that Europeans themselves take the lead in addressing all security problems short of Article 5 in their own broader neighbourhood. That puts even more pressure on Europe to deliver – and rightly so. Oh, and I am still not convinced of the continued relevance of ACT.